Home > Continuous Improvement > What is Kaizen ? Kaizen is part of a Continuous Improvement strategy where stakeholders (customers, suppliers, employees and contract workers) at every level work together to implement process improvements at the business level and on the shop floor. These improvements may be incremental or transformational. It is methodology for focused improvement. 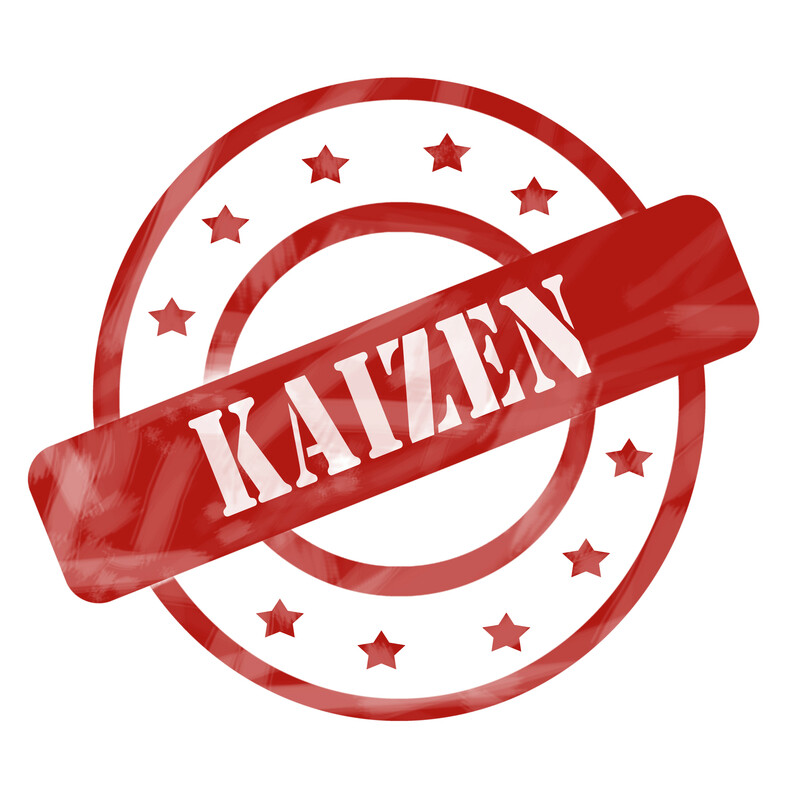 Kaizen has been utilized in every industry and on every business process throughout the world. It can be applied to any area of business, and even to personal life. 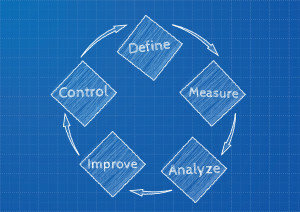 Kaizen is part of the toolkit known as Six Sigma or Continuous Improvement which includes other tools, such as Value Stream Mapping, Lean Business and Total Quality Management (TQM), a management framework that enlists workers at all levels to focus on quality improvements focused on supporting a company’s strategic objectives. In an organizational setting, the successful use of Kaizen rests on gaining support for the approach across the organization, and from the executive leadership down. Kaizen is a compound of two Japanese words that together translate as “good change” or “improvement,” but Kaizen has come to mean “continuous improvement” through its association with lean methodology. 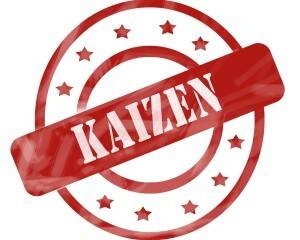 Kaizen has its origins in post-World War II Japanese quality circles. These circles or groups of workers focused on preventing defects at Toyota and were developed partly in response to American management and productivity consultants who visited the country, especially W. Edwards Deming, who argued that quality control should be put more directly in the hands of line workers. Kaizen was brought to the West and popularized by Masaaki Imai via his book Kaizen: The Key to Japan’s Competitive Success in 1986. The use of Strategic Objectives, Suppliers Inputs, Process Outputs and Customers Requirements used to identify all strategic and operating gaps relevant to a process improvement project before work begins. Develop valuable job skills in areas such as…. Be proactive about solving problems. Don’t accept the status quo. Let go of perfectionism and take an attitude of iterative, adaptive change. Look for solutions as you find mistakes. Create an environment in which everyone feels empowered to contribute. Don’t accept the obvious issue; instead, ask “why” five times to get to the root cause. Cull information and opinions from multiple people. Use creativity to find low-cost, small improvements. As mentioned earlier, Kaizen is part of a Continuous Improvement strategy that enables all stakeholders in an enterprise to work together with a focus on realizing improvements to business processes, manufacturing and the supply chain. It is based on the belief that everything can be improved and nothing is status quo. It also rests on a Respect for People principle (stakeholders). Kaizen involves identifying issues and opportunities, creating solutions, rolling them out and then cycling through the process again for other issues or problems that were inadequately addressed. The following seven steps create a cycle for continuous improvement and give a systematic method for executing this process. Identify Strategic and Operating Gaps. Using feedback from all stakeholders, gather a list of problems and potential opportunities that help the organization fix operating problems and achieve strategic objectives. Focus on opportunities that have a meaningful impact on the company’s performance. As the Continuous Improvement culture takes hold, employ groups of stakeholders on smaller functional issues that will continue to improve performance. Get employees involved. Seek the involvement of all stakeholders (employees, customers, suppliers, contractors and temps), including gathering their help in identifying issues and problems. Doing so creates buy-in for change. Empower them to create “Kaizen Opportunities” and facilitate the process with stretch objectives and experienced facilitators. Create a solution. Charter a team of process owners and supporting resources to do a focused exercise (typically over 3-5 days) to create solutions such as redesigned processes, eliminated activities, structural changes, quality improvements, reductions in lead times, etc. Test the solution. Implement the solution chosen above, with everyone participating in the rollout. Create pilot programs or take other small steps to test out the solution. Analyze the results. At various intervals, check progress, with specific plans for who will be the point of contact and how best to keep ground-level workers engaged. Determine how successful the change has been. Standardize. If results are positive, adopt the solution throughout the organization. Repeat. These seven steps should be repeated on an ongoing basis, with new solutions tested where appropriate or new lists of problems tackled. Although the aim of Kaizen is continuous improvement, events to kick-start Kaizen efforts or focus on a specific set of problems have evolved. In the West, these concentrated efforts to make quick changes to achieve a short-term goal are often the extent of Kaizen efforts. There are numerous names associated with Kaizen events, including Kaizen blitz, Kaizen burst, Kaizen workshop, Design Sprints, focused improvement workshop, continuous improvement workshop and rapid process workshop. In addition, these can rely on various tools or focus on specific areas, such as 5S, total productive maintenance and value stream mapping. A 5S framework is a critical part of the Kaizen system and establishes an ideal physical workplace. The 5S focus on creating visual order, organization, cleanliness and standardization to improve profitability, efficiency, service and safety. Below are the original Japanese 5S’ and their common English translations. Seiri/Sort (organize) — Separate necessary workplace items from unnecessary ones and remove unnecessary items. Seiton/Set in order (create orderliness) — Arrange items to allow for easy access in the way that makes the most sense for work. Seiso/Shine (cleanliness) — Keep the workspace clean and tidy. Seiketsu/Standardize (standardized cleaning) — Systematize workplace cleanup best practices. Shitsuke/Sustain (discipline) — Keep the effort going. While the benefits of Kaizen are many, there are some situations for which it is less suited. Here’s a look at some advantages and disadvantages that experts commonly cite. With its focus on gradual improvement, Kaizen can create a gentler approach to change in contrast to big efforts that may be abandoned due to their tendency to provoke change resistance and abandonment. Kaizen can also be used for bigger “Design Sprint” projects that are critical to a business’ success. Kaizen encourages scrutiny of processes so that mistakes and waste can be reduced. Inspection needs are lessened, because errors are reduced. Employee morale grows, because it engenders a sense of value and purposefulness. Teamwork increases as employees think beyond the specific issues of their department. Client focus increases as customer requirements awareness is raised. Systems are in place to ensure improvements are encouraged both short and long term. Companies with cultures of territorialism and closed communication may first need to focus on cultural changes to create a receptive environment. Short-term Kaizen events may create a burst of excitement that is shallow and short-lived and, therefore, gets abandoned before long which is why these events need to address issues that have meaningful impact and are highly visible. Utilized Kaizen to significantly reduce the changeover times for injection molds realizing changeover improvements from 461 minutes to 68 minutes o Re-engineered customer service in a Medical Device company utilizing Value Stream Mapping and short Kaizen focused design sprints to reduce average order response time from 1.5 days to 4 hours around the globe. These examples illustrate the effectiveness of the use of Kaizen and other tools in effectively redesigning business processes and manufacturing lines utilizing in-function resources who didn’t have special skills but who had intimate knowledge of their processes. It is not uncommon to realize more than incremental improvements from a Kaizen event that include but aren’t limited to 50% reductions in lead time, 70% reductions in deployed working capital, 60% increases in quality and 25+% improvements in productivity. You can read more blog articles about Continuous Improvement and Kaizen here and see our multi-part series on Driving Continuous Improvement here. To speak to a Kaizen, Value Stream Mapping and Continuous Improvement expert, call us at (909) 949-9083, send a note to info@group50.com or request more information here. About the author: Jim Gitney is the CEO of Group50® Consulting and specializes in the development and implementation of manufacturing and supply chain strategies. Jim and the Group50 team are all former executives with well-known manufacturing and distribution companies who understand what it takes to re-engineer complex business processes and manage the implementation of a successful strategic plan. They are Continuous Improvement and Kaizen subject matter experts. Group50 has designed a series of strategic assessments, workshops and strategic execution tools that refocus companies and their critical business processes.